Beach Oyster - MAC'S OYSTERS LTD.
Mac's Signature Beach Oyster, grown in Fanny Bay, is a standard at most oyster bars. The Signature Beach Oyster has a smooth flavour, slight salt, and is a reliable full meat. This oyster brand has a green/grey shell with some barnacles and even the small size grades have a very good meat to shell ratio. 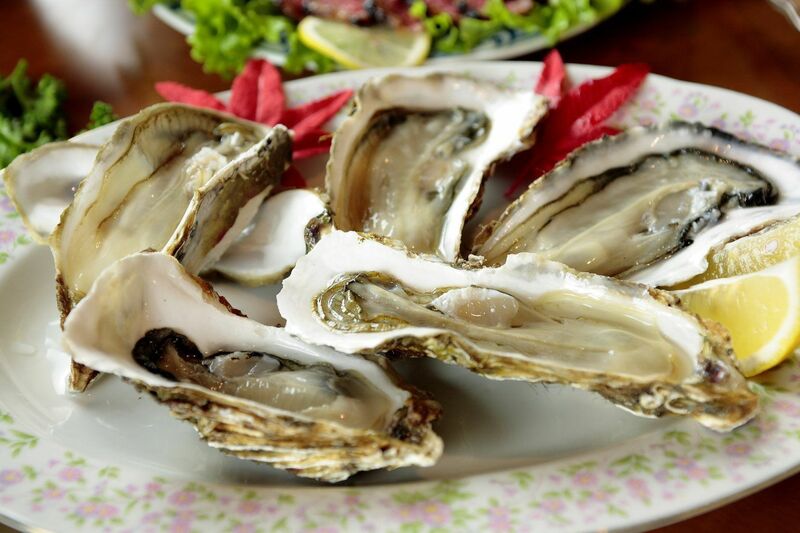 Buckley Bay Oyster is a specialty beach oyster with a melon taste and a salty finish. This shell is a grey/purple with some barnacles. Ship Point Oysters are creamy and subtly sweet with a briny finish. This Oyster shells is purple/grey-green with some barnacles. Mac's Oysters are packed in cardboard wetlock boxes or mesh bags in 10 doz, 5 doz, and 3 doz increments.